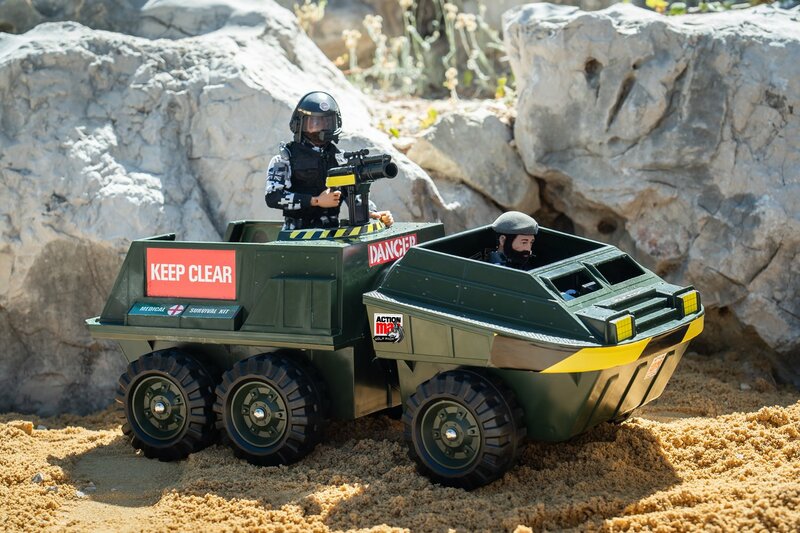 Alas in early 1984 the Action Man line was deleted, all stock was to be sold off and tooling destroyed. Wolf Pack never saw the light of day… until now! 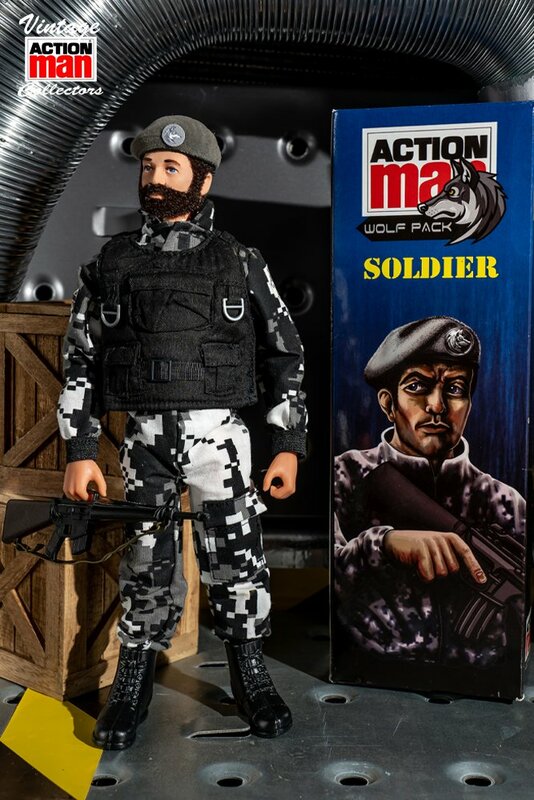 The Vintage Action Man Collectors have commissioned this none profit making modern representation of what a Wolf Pack Soldier would look like if still in production today. 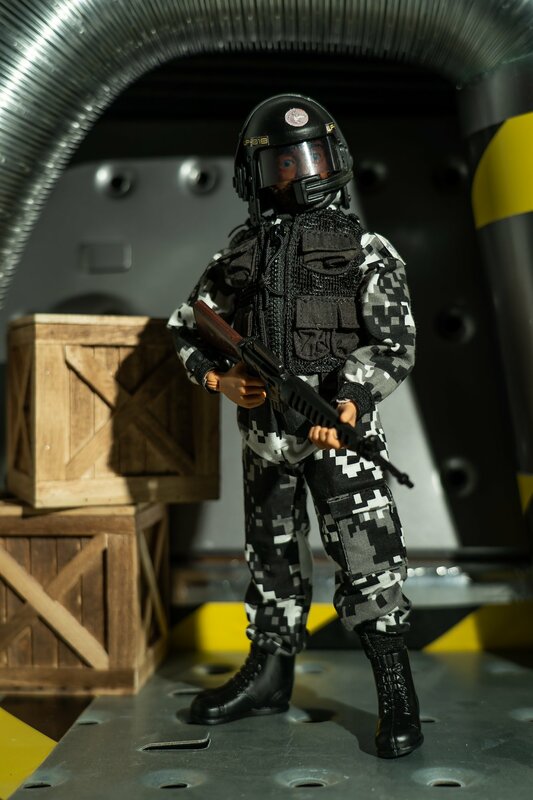 This boxed figure has kept close to the vintage feel as much as possible even using vintage parts. 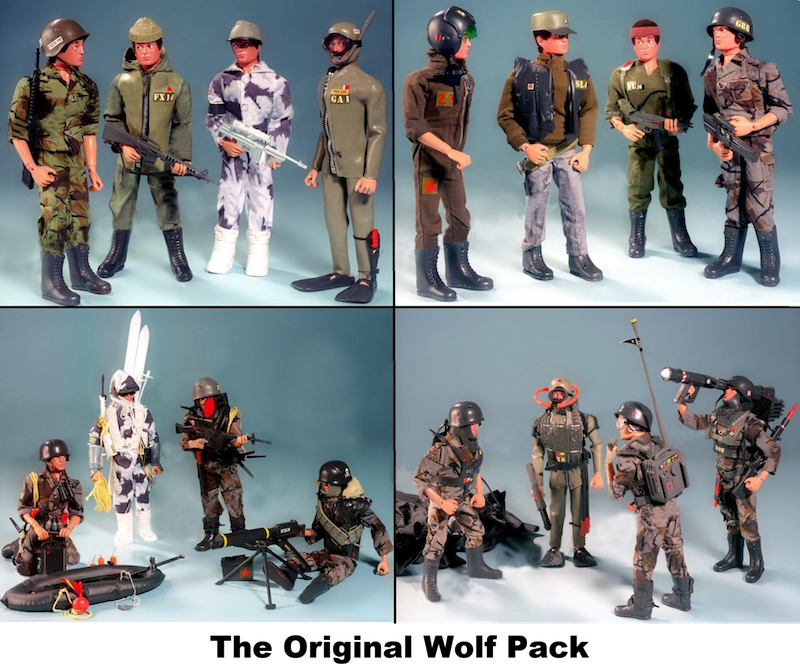 The original Wolf Pack as conceived by the palitoy design team, note the reuse of existing uniforms & accessories from the time. 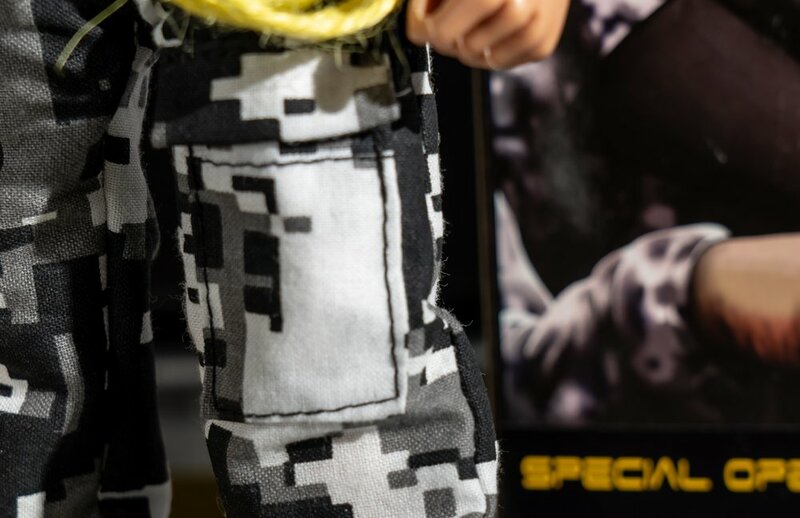 We wanted to keep as close the original concept as much as possible even using vintage items and figures. 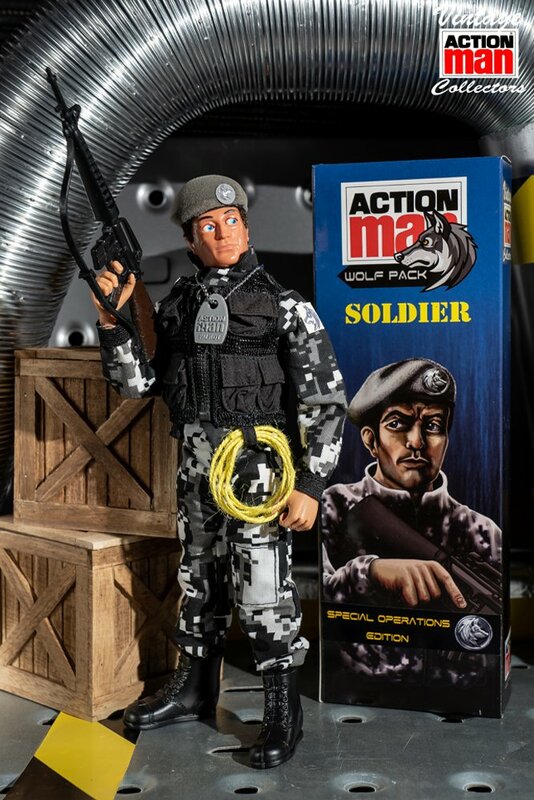 Two Limited Edition boxed figures available, The basic soldier and the Basic Soldier Special Operations Edition. 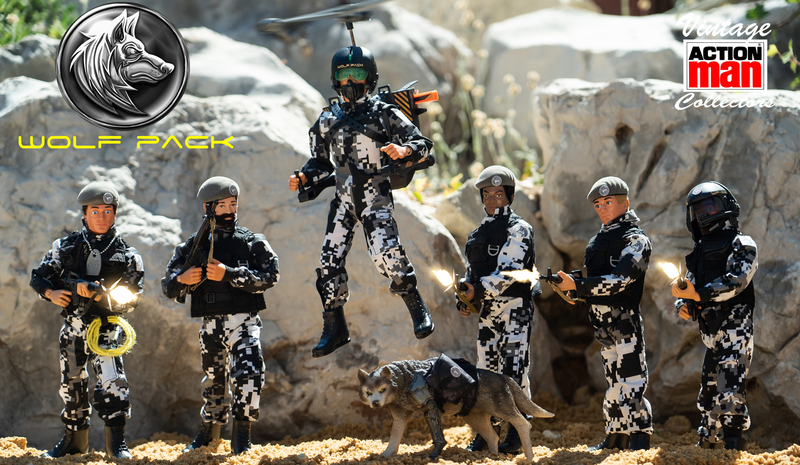 Chris ferguson and I searched long and hard to find the right uniform for the Wolf Pack Soldier, We finally found a supplier of a digital pattern uniform in the states and we thought that would make the perfect modern day wolf pack soldier. 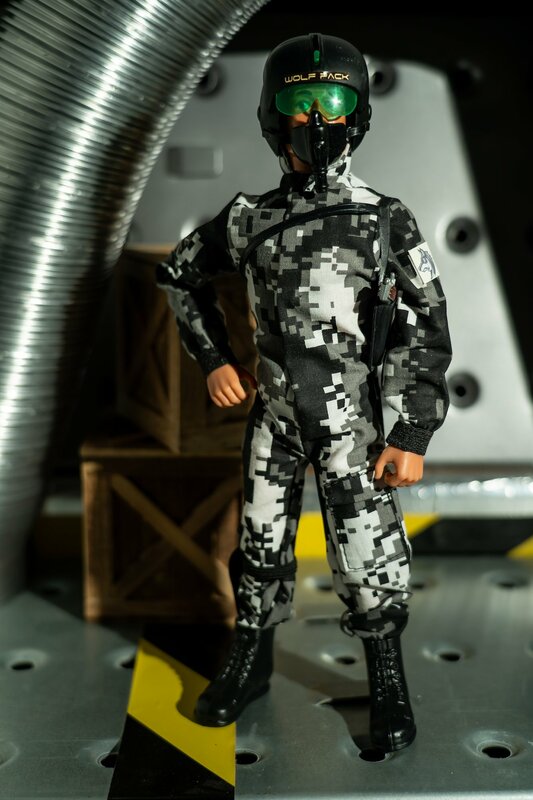 However cost per uniform was ridiculously high, I managed to find the material and purchased it in bulk from the US I then found a local small machinist factory here in Portugal, I gave them the original SAS jumpsuit and asked them to mimic it in the new material, they went one better even making the front leg pocket usable and attaching VAMC tags, and the cost was 75% less less per unit then the original US quote. With the base uniform sourced we discussed the accessories, to keep cost down we was just going to include a beret and elastic black belt (like Bullet Mans) however I was not happy with that, I wanted this soldier to be fully equipped, We asked the members if they could donate any spare M-16’s and berets, we were still short so I purchased forty 40th M-16’s from modellers loft and the berets were topped up by Ian Moore from eagle eye action stations. Mick Coxey and I discussed flocking the berets and together we sourced the right grey flock needed and Mick donated his time to flock all 60+ berets for just the cost of the flock. 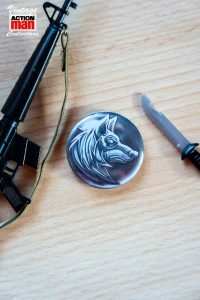 Stephen Blackham printed the Wolf Pack Patch and Beret Badge onto material, he also made the wolf pack pin badges and dog tags for the Spec ops version of the figure, all at cost. The black and white union Jack patch on the jumpsuit was a late edition, I wanted a nod to the country of origin so I got these printed on to material in my own photography studio. As I was not happy with just equipping our soldier with just a belt I managed to find the factory that produced a tactical vest for Hasbro’s GI Joe, alas I cleared them out and they did not have enough for the numbers we needed but I managed to find a similar vest, I decided then to produce two versions, the basic soldier would wear a bullet proof vest and a limited edition Special Operations version would wear the Hasbro GI Joe Tactical Vest but also come equipped with a grey dog tag and classic yellow rope. Boots where purchase from Cotswold with the help of Baz who lives in New York to help reduce shipping cost. Finally the box, We really wanted something special for the box art, I was adamant I wanted it in keeping with the vintage style but with a modern twist, I approached Frankie (Eht Nogard) who is a very talented artist and author and she offered her services free of charge, she did not have any images to go by, I just told her what I thought the wolf pack soldier would look like and she designed the artwork on that little information, she nailed it straight away, besides a small change to the beret badge the box artwork you see is the original first draft. she is an amazing artist and I will be forever grateful as the box art was just as important as the uniform in my view. We wanted to supply vintage figures, but we also knew this would bump up the cost of the final product, Tabitha & Ray Smith purchased bulk lots of eBay for this, Ray re-strung the figures that needed it, new hands where supplied by Vaman and flocking when needed was done by Mick Coxey. The Wolf Pack are veterans that have survived the passage of time and heavy play, none are mint but all have been restored, they are a mix of painted heads, 70’s and EE hybrids, some even have beards, but all are original vintage. 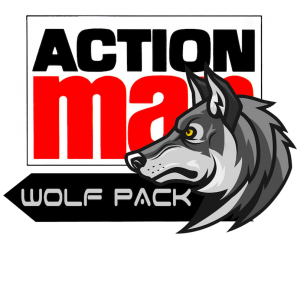 One thing I wanted was for you to build your own wolf pack, so I made sure I ordered more jumpsuits, vests, berets, and extras like pilot helmet and assault helmet so you can make additional Wolf Pack members, we even have a A4 sticker sheet so you can customise your vehicles. Not many of these are available due to production cost but will be available through the websites shop whilst stocks last. Click HERE to visit shop. 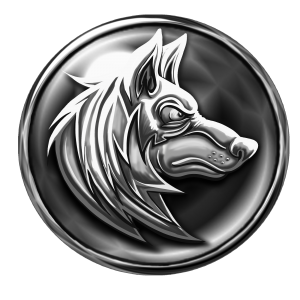 Those of you that paid a £20.00 deposit to secure your Wolf Pack Figure will receive this Wolf Pack logo badge. 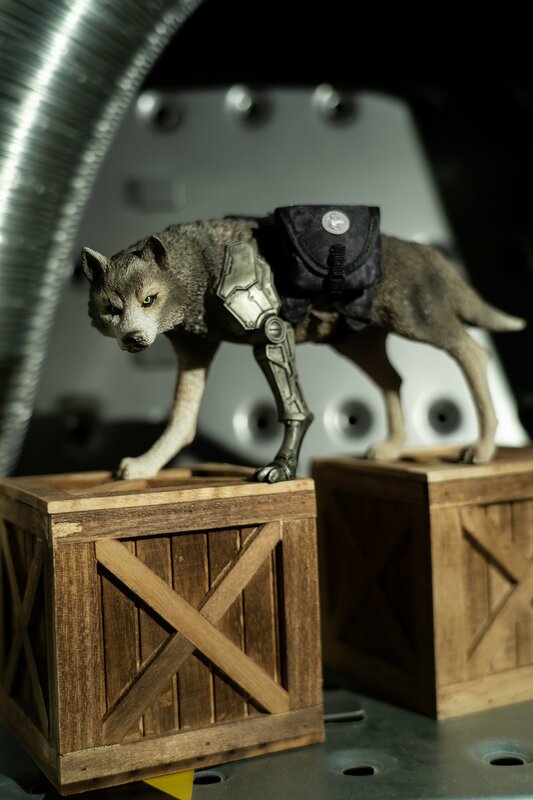 The Wolf Pack is produced in very small numbers, once gone there will be no more restocks. 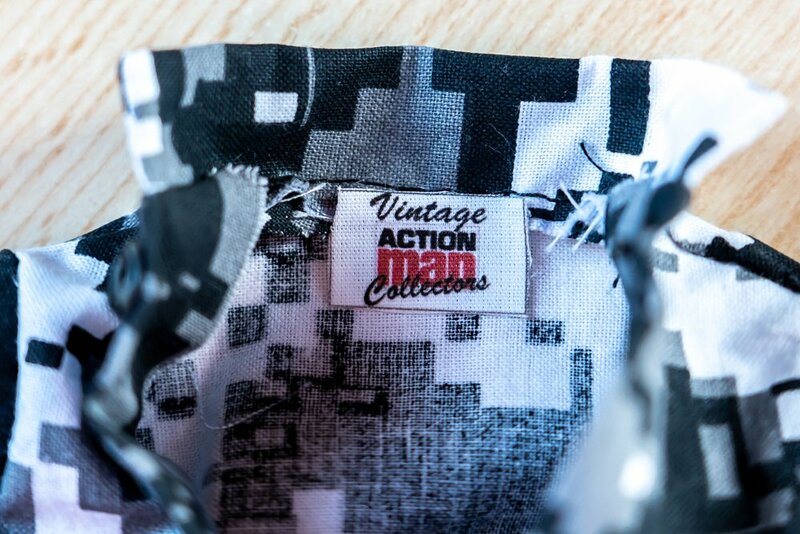 The Wolf Pack could not have been possible without the following members of the Vintage Action Man Collectors. Chris Ferguson for putting the idea into my head, Tabitha Smith for your efforts of keeping track of items arriving from all over the world, Mick Coxey for seeing my vision and sometimes working for free to help me achieve the targets, Baz for taking the US supplies and posting them and not panicking to much when 50 pairs of boots went missing in the post, Ray Smith for the best re-stringing I have seen, Stephan Blackham for trying different patch designs and never charging me for the changes, Vaman Michael Hewitt for supplying the hands at cost and topping us up the extra figures we needed, My friend Erik for being there if I needed him, Kellie Hardie, for allowing me to use the thousands from our savings to achieve this and all the members of the VAMC community who answered the call when I needed parts, you guys Rock!